The leading designer and provider of innovative tripods, Joby has announced the launch of its new Gorillamobile for iPhone 4, which the company promises to take advantage of the advanced media features of highly-popular iPhone 4 such as front-facing camera, flash, HD video capture and retina display, combining the reliable protection of a durable, always-on bumper case with the hands-free stability of a JOBY Gorilla tripod. Gorillamobile for iPhone 4 flexible tripod is honored with International CES Innovations 2011 Design and Engineering Award (Wireless Handsets Accessories category). 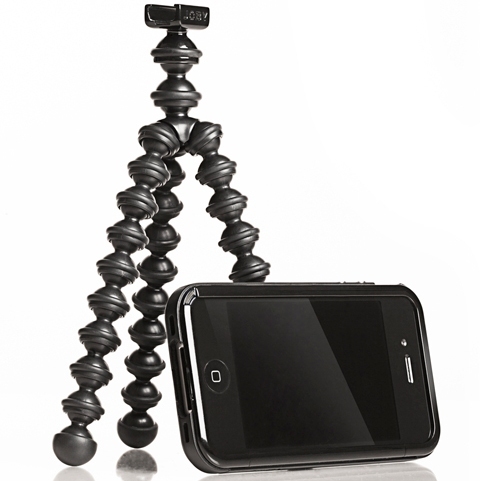 Gorillamobile tripod for iPhone 4 is now available for around $40.